Home - Victorian Belle Interiors. 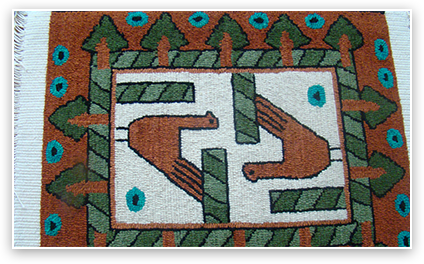 My introduction to rug hooking began in 1982. I had wanted to make a Victorian style rug for my living room. I knew it could be done and I wanted to do it! This was my motivation to learn to rug hook. I signed up for classes and began with a small Oriental rug. I finished with the small rug and felt I was ready to hook a larger one for my living room, but my teacher said “slow down.” I had to first learn to crawl, then walk, and then I could take off running. I just wanted to run! I know I drove my teacher crazy. This is something I try to remember when I am teaching! By 1985, I was sponsored for the Pearl McGown Teacher’s Workshop. I then became accredited in 1989, this was the year I was asked to teach two different workshops and have been teaching since. 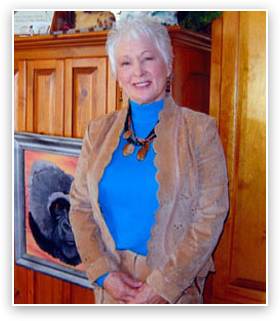 I have traveled throughout the USA and Canada teaching and displaying my work. I continue to study and expand my knowledge in all aspects of the art. I try new subject matter continuously, working very hard to better my technique and the understanding of rug hooking. I can’t stress enough the importance of learning everything you can about rug hooking! Join guilds, read everything you can get your hands on and practice new techniques! The rewards are amazing! I am currently a member of the Pearl McGown guild, Emerald #5 and ATHA. And I have since completed my second accreditation in 2003 as a McGown instructor. In addition, I mentor students and teachers, and have taught classes over the internet. I serve on the Executive Board as Treasurer for the years 2005 – 2017. I have been a member since 1986. I have written numerous articles for their magazine and have art work pictured on their covers (see my news section for articles). I have been a member of Chapter #5 since 1982. I was the Rug Chairperson for the McGown National Rug Exhibit in Des Moines, Iowa. I have written numerous articles for their newsletter magazine over the years. Jasmine Benjamin completed "White Kittens into Mischief." She has been a student of mine on numerous occasions. Visit her site to see her work. Browse through my online gallery of rugs that I have designed and hooked over the years. And see samples from a few of my students. © 2018, Victorian Belle Interiors. All Rights Reserved.